A research team led by faculty at Binghamton University, State University of New York has developed an entirely textile-based, bacteria-powered bio-battery that could one day be integrated into wearable electronics. The team, led by Binghamton University Electrical and Computer Science Assistant Professor Seokheun Choi, created an entirely textile-based biobattery that can produce maximum power similar to that produced by his previous paper-based microbial fuel cells. Additionally, these textile-based biobatteries exhibit stable electricity-generating capability when tested under repeated stretching and twisting cycles. 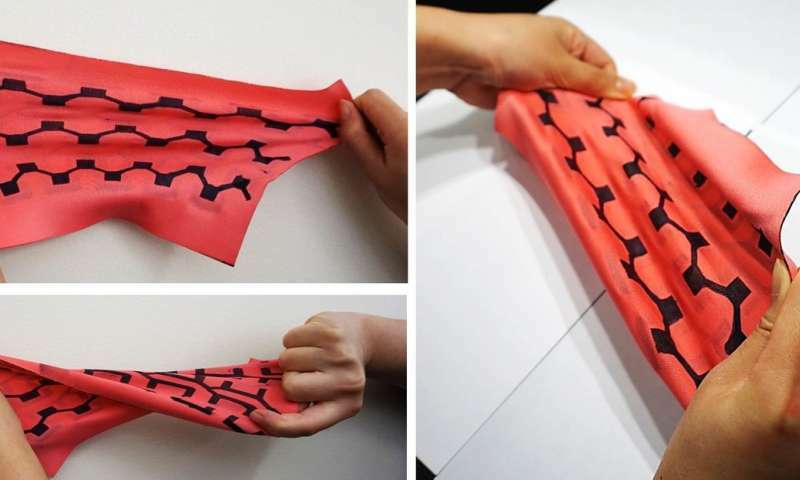 Choi said that this stretchable, twistable power device could establish a standardized platform for textile-based biobatteries and will be potentially integrated into wearable electronics in the future. "There is a clear and pressing need for flexible and stretchable electronics that can be easily integrated with a wide range of surroundings to collect real-time information," said Choi. "Those electronics must perform reliably even while intimately used on substrates with complex and curvilinear shapes, like moving body parts or organs. We considered a flexible, stretchable, miniaturized biobattery as a truly useful energy technology because of their sustainable, renewable and eco-friendly capabilities." Compared to traditional batteries and other enzymatic fuel cells, microbial fuel cells can be the most suitable power source for wearable electronics because the whole microbial cells as a biocatalyst provide stable enzymatic reactions and a long lifetime, said Choi. Sweat generated from the human body can be a potential fuel to support bacterial viability, providing the long-term operation of the microbial fuel cells. "If we consider that humans possess more bacterial cells than human cells in their bodies, the direct use of bacterial cells as a power resource interdependently with the human body is conceivable for wearable electronics," said Choi. 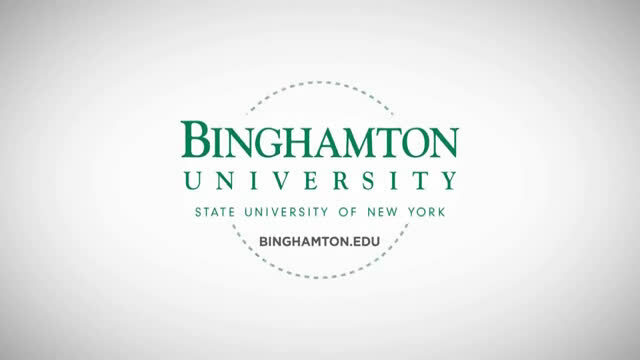 This work was supported by the National Science Foundation, the Binghamton University Research Foundation and a Binghamton University ADL (Analytical and Diagnostics Laboratory) Small Grant. The paper, "Flexible and Stretchable Biobatteries: Monolithic Integration of Membrane-Free Microbial Fuel Cells in a Single Textile Layer," was published in Advanced Energy Materials.